The prime qualitative benchmark of a successful call center executive is good communication skill. 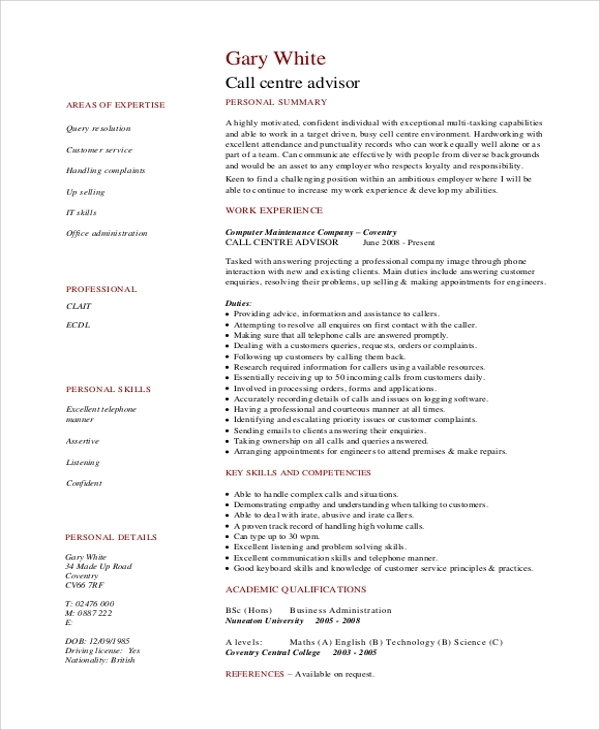 If you plan to pursue the career of a call center executive, you need a powerful Call Center Resume. A resume summarizes the professional and educational achievements of an individual, explaining why the candidate is suitable for a job. 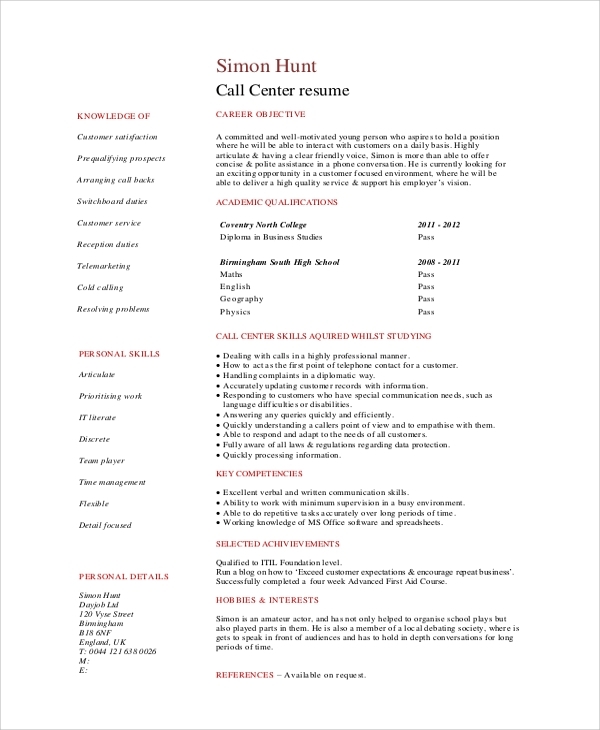 Check out these Sample Resumes to get an idea of what is to be included in a call center resume to make it unbeatable. 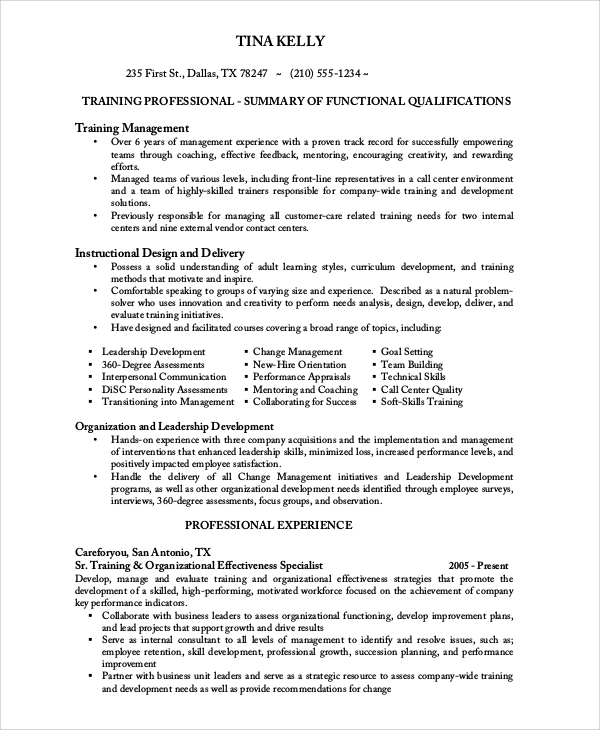 This resume is for a higher post, so the key skills and are put at the top. Then the achievements and qualifications are put forward in different sections. Bullet points are used to mark the achievements. Since the experience section is limited, the qualities are listed up at the outset. The personal skills are written in a separate section. The qualities are listed up with bullet points. 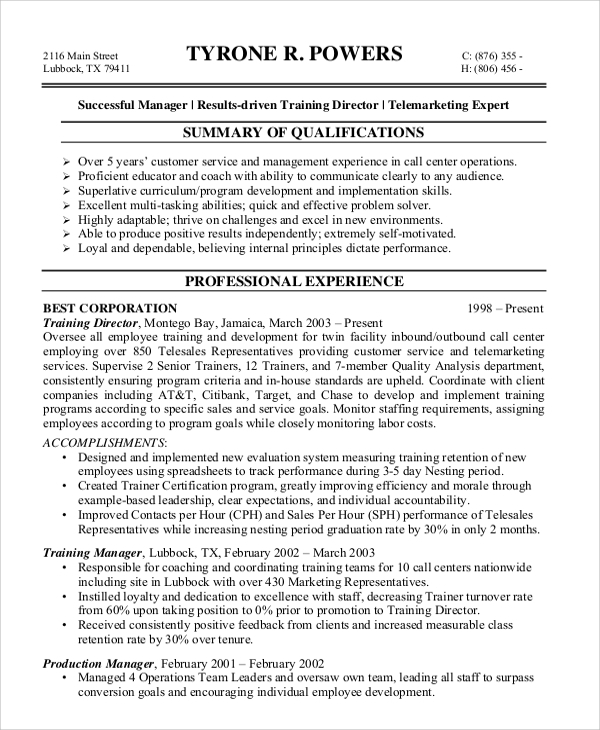 You may also see the Server Resume Samples. 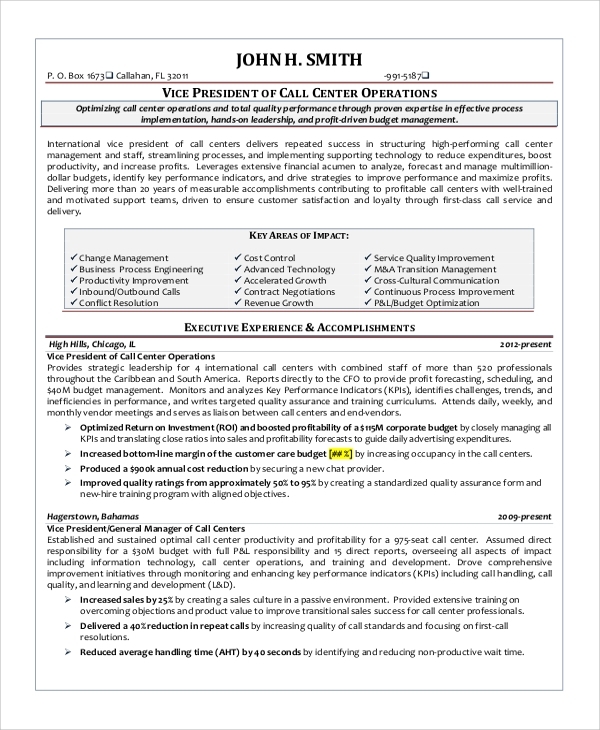 In this resume, the principal duties and responsibilities are listed up at the top. Different heads are created to specify the exact role of the employee. Later the qualifications are summed up in brief. 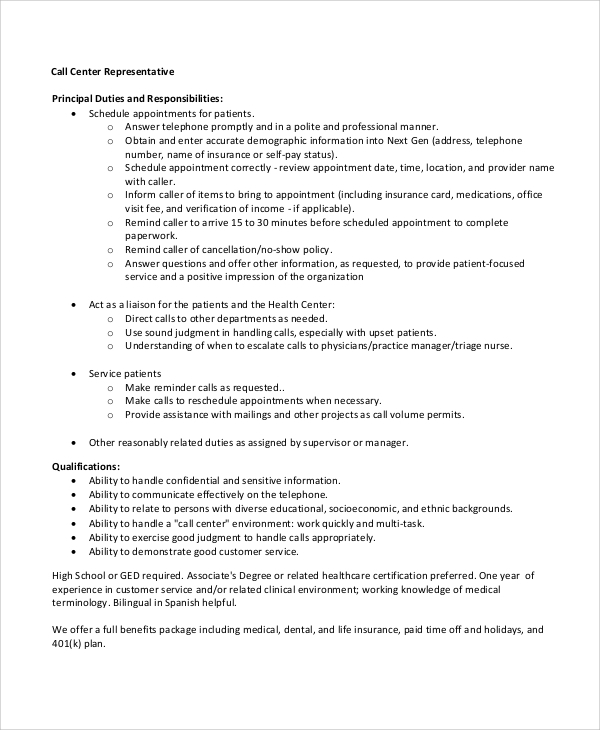 Why do you need a specialized Call Center Resume? Before you proceed to the resume details, you should have a crystal-clear idea about the background of the company. All businesses have their policies. In the face of competition from other employees, you need to tailor your resume as per the needs of the company to boost up your chances of getting hired. A specialized resume is crafted exclusively for a particular company. You should take a note of the weaker areas of the companies and develop your profile in such a way that you can do away with their problems. Thus, a specialized resume is required for a call center. 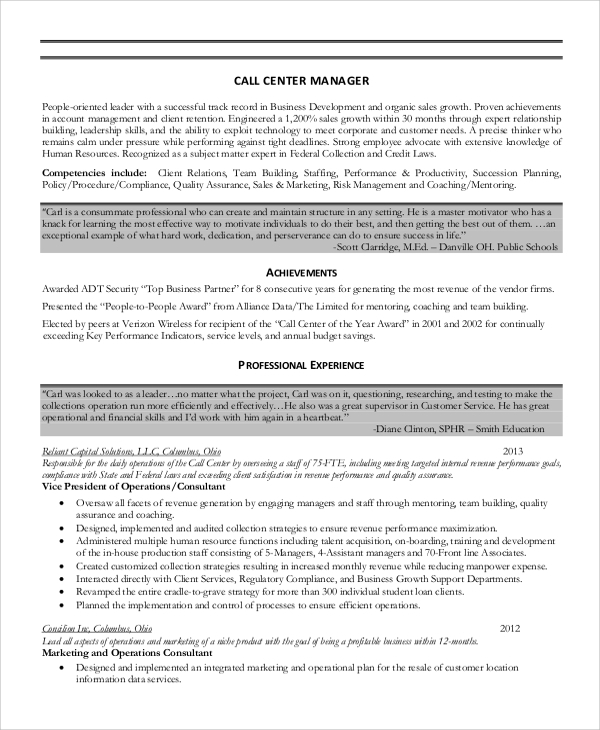 You may also see the Customer Service Resume Examples. This resume starts with a short introductory paragraph and proceeds to the achievements and personal experience section. 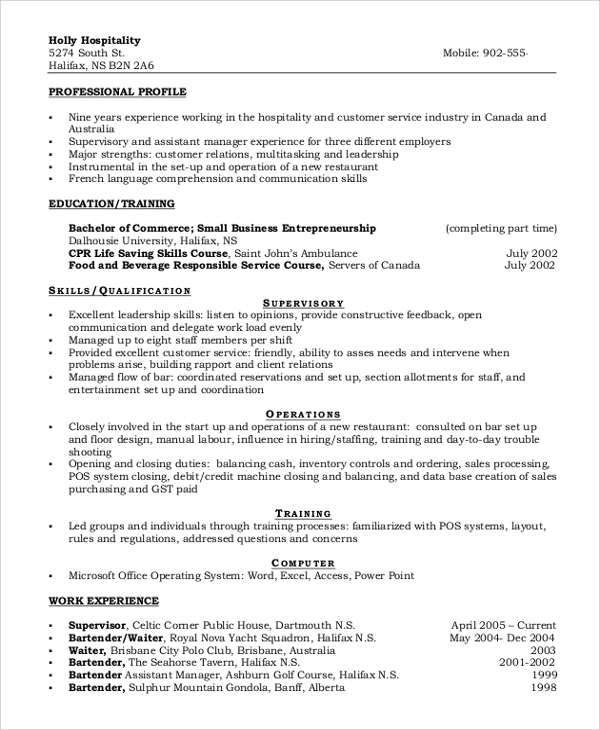 The resume information is presented in short paragraphs. In this resume, the most important achievements are presented at the top. Then other qualifications and work experience are shared. In the case of a career break, these resumes are preferred to the chronological ones. How can you make your Resume Effective? Competition is high in the job market. Hence, you need to tailor your resume to perfection. Although the basic skill of a call center employee is to have strong communication skill, it sounds quite generic. Therefore, you need to specify the particular area of your expertise. You can state whether you are comfortable with inbound or outbound processes, the areas you excel in and so on. When you write the resume, if you have a remarkable achievement to mention, do not keep it hidden in the chronological format. Instead, you should follow the Functional Resume pattern, where the valuable professional information is put forward at the top. Powerful Resumes can change the professional life of the individuals. If you need further samples, you can check out the website. You may download these Resume Templates and edit them, as per your requirements. Craft the call-center resume with strong keywords to break the jinx without any hassle and pave a bright professional life.